I haven't posted about riding in quite a while. There was a terrible lull between Thanksgiving and January when Jackson was lame and I had to make do with some alternatives. That wasn't fabulous but it wasn't awful. Okay, that was pretty dramatic. It wasn't a terrible lull, but it made me realize why I really like Jackson so much. He listens and he behaves and works hard to do what you ask. 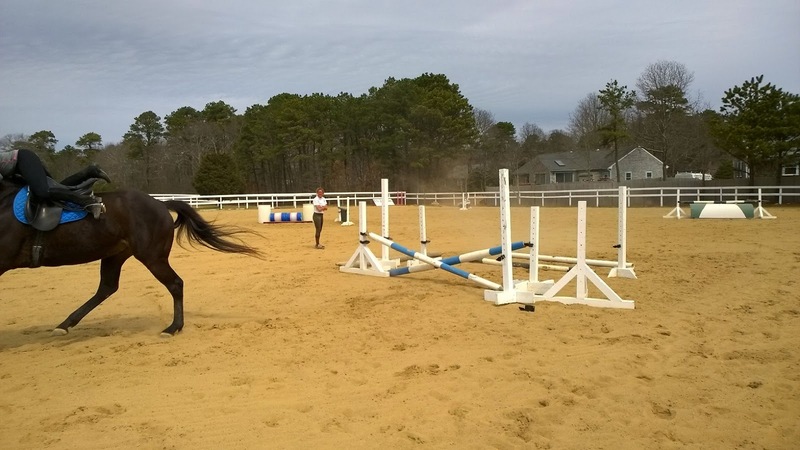 Around the time that he was sound again, I shifted my schedule to have two lessons a week and two freerides, where I can ride as long as someone is on the property, but I'm doing my own thing without anyone telling me my every move. This has been the best thing I could ever have done. 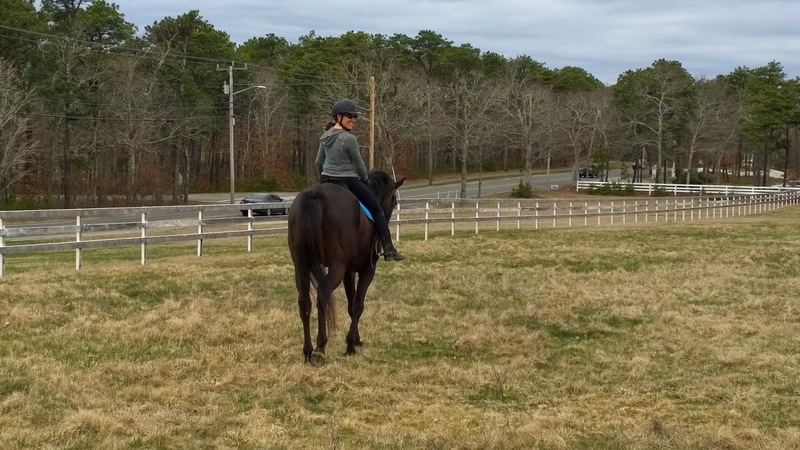 My riding has improved 1000 times as I've ridden on my own twice a week and really figured some stuff out. Wait,does this look funny to you? Just kidding, this one's better, right? I can't help laughing every time I see this picture. My flying legs remind me of the wicked witch when the house landed on her. 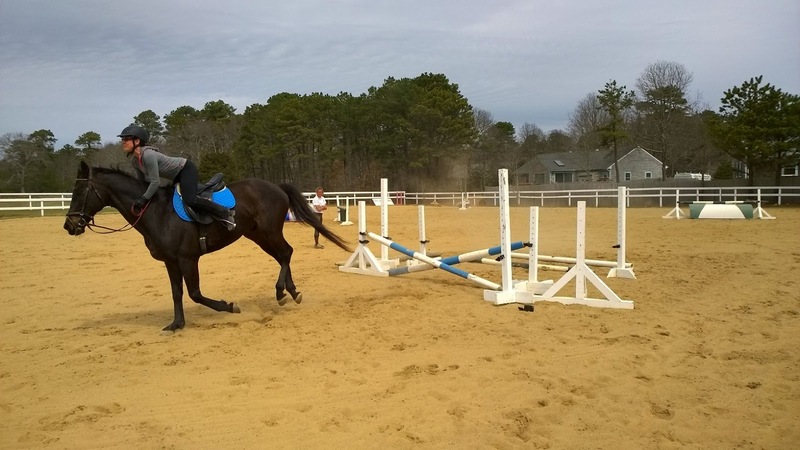 I had just jumped over that blue and white fence and we landed and then I was straddling his neck, hysterically laughing because I couldn't get back up onto the saddle and he was still running around like he thought he was supposed to. I got back in the saddle, didn't fall off and he continued jumping every jump like it was 6 feet high. In the month since these pictures were taken, I've jumped more and understand it a little better. K-ster took this really cool picture with is new phone. When I jump, it is actually like this in my head. When I first started riding, this was the case and then it became clear as I got better. 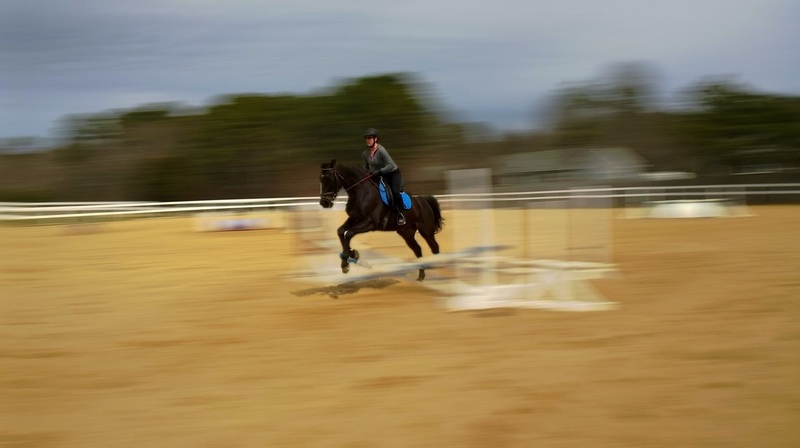 Then when I started cantering, everything was like this and now I can talk while I canter around. With something new, everything around me is a blur as I try to figure it all out. But the best news around the barn is that I finally found some underwear that stays in place while I ride. I can't explain just what a joy this is. I've spent more time with my underwear making me so uncomfortable that some days, I've just wanted to stop. I thought I had found some great pairs for a while, but they have pretty much disintegrated. They are nothing special, not riding underwear or anything, but they fit and stay in place and don't really show any seams which is definitely a good thing. You can be sure I've bought about a million pair in case these also disintegrate. 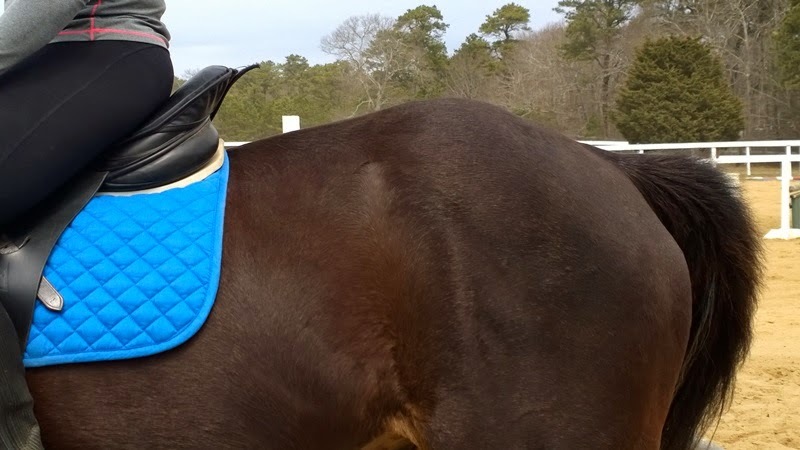 Now, if I can just find the right saddle that fits me and Jackson at the same time. A New Obsession or Inability to Read? Do You Buy Your Car Where You Eat? A Clothes Horse or Clothes Whore?